Ph. D. in Linguistics, University of London. M. A. in Turkish Language and Literature, Boğaziçi University. M. A. in Linguistics, Boğaziçi University. B. A. in English Language and Literature, Boğaziçi University. BÜ Project Team: Aslı Göksel, Meltem Kelepir, Aslı Özkul, Elvan Tamyürek Özparlak, Süleyman Taşçı, Simge Topaloğlu, Büşra Yakut. PIs: Alexandra Bagasheva, Salvador Valera, Pavol Štekauer. PI: Prof. Hubert Truckenbrodt (ZAS, Berlin). Other researchers: Dr. Engin Arık (Doğuş University), Dr. Meltem Kelepir (Boğaziçi University). Coordinator: Dr. J. Quer, Universitat Pompeu Fabra, Barcelona, Spain. 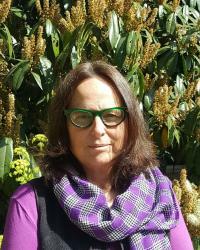 PI: Prof. Angela Ralli, University of Patras. Boğaziçi University Research Fund #5842. PI: Prof. Angela Ralli, Univeristy of Patras. Researcher: Dr. Meltem Kelepir. RA: Aslı Üntak-Tarhan. Boğaziçi University Research Fund #06B401. Researcher: Dr. Belma Haznedar. Project workers: İskender, H.İ, S. Kan, T. Akan, K. Gökgöz, M. Bostancı, İ. Oded, F. İnce, D. Öksüz. Part of the Morbo-Net project (Coordinator: Prof. S. Scalise, University of Bologna). Pfau, R., Göksel, A. & Hosemann, J. (eds., forthcoming). Deaf Elderly Signers: Past Experiences and Future Perspectives. To be published by de Gruyter Mouton 2020. Göksel, A. & Kerslake, C. (2011). Turkish, An Essential Grammar. London: Routledge. Göksel, A. & Kerslake, C. (2005) [Third reprint 2010]. Turkish, A Comprehensive Grammar. London: Routledge. Özsoy, A. S. & A. Göksel (Eds.) (2003). Focus in Turkish, Lingua (special issue). Göksel, A. & C. Kerslake (Eds.) (2000). Studies on Turkish and Turkic Languages. Wiesbaden: Harrassowitz. Göksel, A. & E. Parker (Eds.) (1992). SOAS Working Papers in Linguistics and Phonetics, Vol.2. Göksel, A. (Eds.) (1990). SOAS Working Papers in Linguistics and Phonetics, Vol.1. Göksel, A., Taşçı, S., Demirel, B. E., Tamyürek Özparlak, E., Saral, B., Dikyuva, H. (forthcoming.) ‘You have a bad voice, you should only write…’ Deafness in Turkey 1930-2018: Misconceptions, administrative, social, and cultural barriers. To be published in Pfau, R., Göksel, A. & Hosemann, J. (Eds.). Deaf Elderly Signers: Past Experiences and Future Perspectives, De Gruyter Mouton 2020. Güneş, G. & Göksel, A. (forthcoming). Morphosyntax and Phonology of Agreement in Turkish. Taşçı, S. T., Göksel, A. & Gökgöz, K. (forthcoming). (Non-)simultaneity as a predictor for semantics and iconicity in complex lexemes. Akar, D., Öztürk, B., Kelepir, M. and Göksel, A (under review). Common ground management and inner negation in one: The case of hani. Submitted to Zeyrek, D. & Özge, U. (eds). To be published by de Gruyter Mouton. Göksel, A. (under review). Generative Approaches to Turkish Compounds. In L. Johanson (gen. ed. ), Encyclopedia of Turkic Languages and Linguistics. Brill. Göksel, A. (under review). Introduction (Turkic section). To be published in Bagasheva, A., L. Körtvélyessy, P. Stekauer & S. Valera (eds.) Derivational Networks. Mouton de Gruyter. Göksel, A. (under review). Morphology of Altaic Languages (Turkic, Mongolian). To be published in F. Masini (section editor).Oxford Encyclopedia of Morphology. OUP. Göksel, A. & Kapan, A. (in press). Turkish. To be published in Bagasheva, A., L. Körtvélyessy, P. Stekauer & S. Valera (eds.) Derivational Networks. Mouton de Gruyter. Gürer, A. & Göksel, A. (in press). Ellipsis in Turkish: Methodological issues and forward gapping as a test case. To be published in Proceedings of ICTL, Çukurova University. Bağrıaçık, M., Göksel,A. & Ralli, A. (2019 - June). The resistance to phrasal affixes in Pharasiot Greek. In A. Ralli (ed.) Morphology of Asia Minor Greek. Language Sciences, Brill. Gürer, A. & Göksel, A. (2019 - May). (Structural-)Prosodic constraints on gapping in Turkish. In A.S. Özsoy (ed.) Word Order in Turkish. (219-269). Springer. Göksel, A. & Öztürk, B. (2019). Conditions on prominent internal possessors in Turkish. I. Nikolaeva et al. (eds.) Prominent Internal Possessors. (pp. 163-195). OUP. Mutlu, F., A. Kapan, Şen, A.Y., Yıldırım, H. & Göksel, A. (2019). ‘Head’ idioms in Turkish: contrasts and correlations. Kraska-Szlenk, I. (Ed.) Embodiment in cross-linguistics studies; the body part term ‘head’. (pp. 205-218). Brill. Taşçı, S. S. & Göksel, A. (2018). Native compounds in TİD; A classification based on headedness. To be published in A. S. Özsoy (Ed.) Dilbilim Araştırmaları Dergisi, Special Issue on TİD. Bağrıaçık, M. & Göksel; A. (2018). Greek meets Turkish at the western edge of Asia: Case marking and subordination strategies in Cunda Turkish. In Grzelak, S. (Ed.) Special Issue, Investigationes Linguisticae, 40. Bağrıaçık, M., A. Göksel, & Ralli, A. (2017). ‘Copying compound structure; The case of Pharasiot Greek’, in C. Trips and J. Kornfilt (Eds.) Further investigations into the Nature of Phrasal Compounding. (pp. 181-227). Language Science Press. Donati, C., Özsoy, A. S. & Göksel, A. (2017). Argument clauses. In: J. Quer, C. Cecchetto, C. Donati, C. Geraci, M. Kelepir, R. Pfau & M. Steinbach (Eds. ), SignGram Blueprint: A guide to sign language grammar writing, (pp. 427- 440). Berlin: Mouton de Gruyter. Göksel, A. (2017) Review of Ankara papers in Turkish and Turkic Linguistics by Deniz Zeyrek, Çiğdem Sağın Şimşek, Ufuk Ataş, Jochen Rehbein. Mediterranean Language Review, 198-207. Göksel, A., Barberá, G. & Kimmelman, B. (2017). Information structure. In: J. Quer, C. Cecchetto, C. Donati, C. Geraci, M. Kelepir, R. Pfau & M. Steinbach (Eds. ), SignGram Blueprint: A guide to sign language grammar writing, (pp. 700- 714). Berlin: Mouton de Gruyter. Göksel, A. & Pfau, R. (2017). The non-native lexicon. In: J. Quer, C. Cecchetto, C. Donati, C. Geraci, M. Kelepir, R. Pfau & M. Steinbach (Eds. ), SignGram Blueprint: A guide to sign language grammar writing, (pp. 94-106). Berlin: Mouton de Gruyter. Göksel, A. (2017). Preliminary considerations. In: J. Quer, C. Cecchetto, C. Donati, C. Geraci, M. Kelepir, R. Pfau & M. Steinbach (Eds. ), SignGram Blueprint: A guide to sign language grammar writing, (pp. 167-168). Berlin: Mouton de Gruyter. Göksel, A. & Pfau, R. (2017). Compounding. In: J. Quer, C. Cecchetto, C. Donati, C. Geraci, M. Kelepir, R. Pfau & M. Steinbach (Eds. ), SignGram Blueprint: A guide to sign language grammar writing, (pp. 169-188). Berlin: Mouton de Gruyter. Göksel, A. & Pfau, R. (2017). Definitions and Challenges. In: J. Quer, C. Cecchetto, C. Donati, C. Geraci, M. Kelepir, R. Pfau & M. Steinbach (Eds. ), SignGram Blueprint: A guide to sign language grammar writing, (pp. 201-202). Berlin: Mouton de Gruyter. Pfau, R., Göksel, A. & Costello, B. (2017). Classifiers. In: J. Quer, C. Cecchetto, C. Donati, C. Geraci, M. Kelepir, R. Pfau & M. Steinbach (Eds. ), SignGram Blueprint: A guide to sign language grammar writing, (pp. 250-260). Berlin: Mouton de Gruyter. Pfau, R. & Göksel, A. (2017). Derivation. In: J. Quer, C. Cecchetto, C. Donati, C. Geraci, M. Kelepir, R. Pfau & M. Steinbach (Eds. ), SignGram Blueprint: A guide to sign language grammar writing, (pp. 188-200). Berlin: Mouton de Gruyter. Schlenker, P., Göksel, A., Cecchetto, C. & Steinbach, M. (2017). In: J. Quer, C. Cecchetto, C. Donati, C. Geraci, M. Kelepir, R. Pfau & M. Steinbach (Eds. ), SignGram Blueprint: A guide to sign language grammar writing. (pp. 726- 735). Berlin: Mouton de Gruyter. Göksel, A., Hakgüder, M. & Kelepir, M. (2016). İşaret dillerinde karmaşık cümleleri belirlemek: Türk İşaret Dili (TİD) üzerine bir yöntem ve betimleme çalışması. In: B. Savaş, D. Yüksel, D. Fidan, B. Öztürk & B. İ. Karagül (yay. haz. ), 29. Ulusal Dilbilim Kurultayı Bildirileri, 21-22 Mayıs 2015, Kocaeli Üniversitesi. (pp. 163-170). Bağrıaçık, M. & Göksel, A. (2016). Greek meets Turkish: Subordination strategies in Cunda Turkish. In: M. Güven, D. Akar, B. Öztürk & M. Kelepir (Eds. ), Exploring the Turkish linguistic landscape: Essays in Honor of Prof. Eser Erguvanlı Taylan. Studies in Language Companion Series. Amsterdam: John Benjamins. Göksel, A. & Kelepir, M. (2016). Observations on complex clauses in Turkish Sign Language. In A. Herrmann, R. Pfau & M. Steinbach (Eds. ), A Matter of Complexity: Subordination in Sign Languages. (pp. 73-102). Berlin: De Gruyter Mouton. Kelepir, A. & Göksel, A. (2016). TİD'de dolaylı anlatım üzerine gözlemler. In E. Arık (Ed.) Ellerle Konuşmak: Türk İşaret Dili Araştırmaları. (pp. 337-360). Göksel, A. & Taşçı, S. S. (2016). Sessel dilden işaret diline: TİD'de Ödünç Sözcükler. In E. Arık (Ed.) Ellerle Konuşmak: Türk İşaret Dili Araştırmaları. (pp. 361-388). Kunduracı, A. & Göksel, A. (2016). Morphology, The Base Processor. Proceedings of the 10th Mediterranean Morphology Meeting, University of Haifa, 7-10 Sept 2015. Göksel, A. (2015). Phrasal compounds in Turkish; Distinguishing citations from quotations. In C. Trips & J. Kornfilt (Eds. ), Phrasal Compounds, Special Issue - STUF Language Typology and Universals. (pp. 359-394). Taşçı, S. S. & Göksel, A. (2014). The morphological categorization of polymorphemic lexemes: A study based on lexicalized fingerspelled forms in TİD. Dilbilim Araştırmaları Dergisi, Special Issue in Honor of Prof. A. Sumru Özsoy. (pp. 165-180). Göksel, A. & Kelepir, M. (2013). The bifurcation of the functions encoded by a single articulator: The HEAD in TİD questions. Sign Language & Linguistics, 16/1. (pp. 1-31). Göksel, A. (2013). Free word order and anchors of the clause. SOAS Working Papers in Linguistics, 16. (pp. 3-25). Göksel, A., Kabak, B. & Revithiadou, A. (2013). Prosodically constrained non-local doubling. The Linguistic Review, 30, 2. (pp. 185-214). Göksel, A. & Pöchtrager, M. (2013). The vocative and its kin: marking function through prosody. In P. N. A. Hanna & B. Sonnenhauser (Eds. ), Vocative! Addressing between System and Performance. (pp. 87-108). Mouton De Gruyter. Kelepir, M. & Göksel, A. (2013) Aspects of reported utterances in Turkish Sign Language. In E. Arık (Ed. ), Current Directions in Turkish Sign Language Research. (pp. 186-213). Newcastle-upon-Tyne: Cambridge Scholars Publishing. Özsoy, A. S., Arık, E., Göksel, A., Kelepir, M. & Nuhbalaoğlu, D. (2013). Documenting Turkish Sign Language: A report on a research project. In E. Arık (Ed. ), Current Directions in Turkish Sign Language Research.(pp. 53-67). Newcastle-upon-Tyne: Cambridge Scholars Publishing. Göksel, A. & Kabak, B. (2012). Covert modality and context shift: The 'perplexive' construction. In W. Abraham & E. Leiss (Eds. ), Covert Patterns of Modality. (pp. 106-132). Newcastle-upon-Tyne: Cambridge Scholars Publishing. Özsoy, A. S., Arık, E., Göksel, A. & Kelepir, M. (2012). When established methods hit the sign: Methodological issues in documenting sign languages. In Proceedings of the International Symposium on Language and Communication; Research Trends and Challenges (ISCL). (pp. 395-394). Göksel, A. (2011). A phono-syntactic template for Turkish: Base-generating free word order. In A. Nolda & O. Teuber (Eds. ), Syntax and Morphology Multidimensional, Interface Explorations. (pp. 45-76). Mouton de Gruyter. Göksel, A. (2011). Word order, sentential stress and intonation. In B. Öztürk & M. A. Pöchtrager (Eds. ), Pazar Laz. (pp. 146-159). Lincom Europa Academic Publishers. Göksel, A., Kelepir, M. & Üntak-Tarhan, A. (2010). Decomposing the non-manual tier: Cross-modality generalisations. In I. Kwon, H. Pritchett, & J. Spence (Eds. ), Proceedings of BLS-35, Special Session on Non-Speech Modalities. (pp. 1-11). Göksel, A. (2010). Focus in words with truth values. Iberia, 2/1. (pp. 89-112). Göksel, A. (2009). Compounds in Turkish. Lingue e Linguaggio, 2. (pp. 213-236). Göksel, A., Kelepir, M. & Üntak-Tarhan, A. (2009). Decomposition of question intonation: The structure of response seeking utterances. In J. Grijzenhout & B. Kabak (Eds. ), Phonological Domains; Universals and Deviations. Interface Explorations. (pp. 249-286). Mouton de Gruyter. Göksel, A. (2007). Morphology and syntax inside the word: Pronominal participles of headless relative clauses in Turkish. In Proceedings of The Fifth Mediterranean Morphology Meeting, Frejus, 15-18 September 2005. Göksel, A. (2006). Pronominal participles in Turkish and Lexical Integrity. Lingue e Linguaggio, IV.2. Göksel, A. & Özsoy, A. S. (2003). dA as a focus/topic associated clitic in Turkish. In A. S. Özsoy & A. Göksel (guest editors), Lingua, Special edition on Focus in Turkish: 1143-1167. Göksel, A. (2001) The auxiliary verb at the morphology-syntax interface. In E. Erguvanlı Taylan (Ed. ), The Verb in Turkish. (pp. 151-181). Amsterdam: John Benjamins. Charette, M. & Göksel, A. (1998). Licensing Constraints and Vowel Harmony in Turkic Languages. In E. Cyran (Ed. ), Structure and Interpretaton: Studies in Phonology and Syntax. Lublin: PASE Studies and Monographs. Göksel, A. (1998). Linearity, Focus and the Postverbal Position in Turkish. In L. Johanson with É. Á. Csató. V. Locke & A. Menz (Eds.) The Mainz Meeting. Wiesbaden: Otto Harrassowitz Verlag. Göksel, A. (1998). Word Length. In G. Booij, A. Ralli & S. Scalise (Eds. ), Proceedings of the First Mediterranean Morphology Meeting. Göksel, A. (1997). Chomsky'ci kuramda biçimbirimler ve biçimbilimin yeri. Dilbilim Araştırmaları. Ankara: Kebikeç Yayınları. Charette, M. & Göksel, A. (1997). Sesbilimde sınırlama kavramı ve ünlü uyumu [Vowel harmony and the notion of licensing in phonology]. Dilbilim Araştırmaları. Ankara: Kebikeç Yayınları. Göksel, A. (1997). Morphological asymmetries between Turkish and Yakut. In K. İmer and N. E. Uzun (Eds. ), Proceedings of the VIIIth International Conference on Turkish Linguistics. Ankara: Ankara Üniversitesi Basımevi. Charette, M. & Göksel, A. (1996). Vowel Harmony and Switching in Turkic Languages. In E. Cyran (Ed. ), A Festschrift for Edmund Gussmann. Lublin: PASE Studies and Monographs. Göksel, A. (1996). Passivisation in Turkish. In B. Rona (Ed.) Current Issues in Turkish Linguistics. Ankara: Hitit Yayinlari. Göksel, A. & Tsiplakou, S. (1996). Linear Domains: Variations between Greek and Turkish. Proceedings of the Sixteenth Annual Conference on Greek Linguistics, Thessaloniki: University of Thessaloniki Press. Charette, M. & Göksel, A. (1996). Vowel harmony in Turkic languages. In SOAS Working Papers in Linguistics and Phonetics, 6. (pp. 1-25). Göksel, A. (1995). Voice in Turkish. In D. C. Bennett, Th. Bynon & B. G. Hewitt (Eds. ), Subject, Voice and Ergativity: Selected Essays. (pp. 82-104). London: SOAS Publications. Göksel, A. (1995). Review of Japonca ve Altay Dilleri [Japanese and Altaic Languages] by T. Tekin. Turkish Area Study Group News, no.41: 8-9. Göksel, A. (1994). Review of Argument Structure by J. Grimshaw. Lingua, 4: 101-105. Dordrecht: North-Holland. Göksel, A. (1994). A Comparative Approach to Altaic Languages. Turkish Area Study Group News, 39: 35-42. Göksel, A. (1993). What's the Mirror Principle? In M. Cobb & Y. Jiang (Eds. ), SOAS Working Papers in Linguistics and Phonetics, Vol.3: 168-205. Göksel, A. (1992). Case and Configurationality. A. Göksel & E. Parker (Eds. ), SOAS Working Papers in Linguistics and Phonetics, Vol.2: 147-72. Capritsa, J., Göksel, A. & Kempson, R. (1991). Passive/Middle/Reflexive Constructions as Processes of Natural Deduction. In A. Göksel & E. Parker (Eds. ), SOAS Working Papers in Linguistics and Phonetics, vol.2: 117-47. Göksel, A. (1990). Düzlemler [Levels of Representation]. A Festschrift for Fahir İz. Journal of Turkish Studies, Vol.14. (pp. 223-37). Cambridge: The Department of Near Eastern Languages and Civilizations, Harvard University. Göksel, A. (1990). Causativity, Verb Incorporation and Some Problems. In A. Göksel (Ed. ), SOAS Working Papers in Linguistics and Phonetics, Vol.1: 149-74. Özkul, A., Karabüklü, S. & Göksel, A. (frth.). Number signs in TİD and morphological categorization. Göksel, A. & Güneş, G. (frth.). Morphoprosodic delimitation of the focus domain in the word. Marno, H., Langus, A., Göksel, A., Seyed-Allaei, S. & Nespor, M. (frth.). Word order preference with a new lexicon. Göksel, A. Levels of Representation and Argument Structure in Turkish. PhD dissertation, University of London. Göksel, A. The Surname of Abdi, Transliteration and Analysis. MA dissertation, Boğaziçi University, Department of Turkish Language and Lierature. Charette, M., Göksel, A. & Şener, S. Initial stress in morphologically complex words in Turkish: the interface of prosodic structure and 'phrase' structure. Göksel, A. & Haznedar, B. (2007). Remarks on compounding in Turkish. (MorboComp Project, University of Bologna). Özsoy, S. & Göksel, A. (2003). Lingua 113: 1021-1023. Göksel, A. (2003). İlk ders. In Z. Toska (ed.) Kaf Dağının Ötesine Varmak, Günay Kut Armağanı, 1. Cilt, LVIII-LIX. Journal of Turkish Studies (27), The Department of Near Eastern Languages and Civilizations, Harvard University. Güneş, G. & A. Göksel. Phonology of agreement: Optional double agreement and optional resizing of phonological words in Turkish. Com(parative) Syn(tax) Meetings. Leiden Unversity. 23 February 2017. Güneş, G. & A. Göksel. Variable prosodic domains and violations of PIC – Evidence for non-cyclic (phRase based) phonology. GLOW 40. Syntax-Phonology Interface Workshop. 14 March 2017. Bağrıaçık, M. & A. Göksel. Greek meets Turkish at the western edge of Asia: Case marking and subordination strategies in Cunda Turkish. ICAL 2016, 15-16 December 2016, Ho Chi Minh City, Vietnam. Göksel, A. & S.S Taşçı. (Mis)matches in signed and spoken languages.Tokyo University of Foreign Studies, Tokyo, Japan. 20 February 2017. Göksel, A., G. Güneş, & A. Gürer. The unavoidable role of prosody in configurationality. Seinan Gakuin University, Fukuoka, Japan. 23 February 2017. Göksel, A. & B. Öztürk. Conditions on Prominent Internal Possessors in Turkish. Workshop on Prominent Internal Possessors. SOAS, University of London, 22-23 September, 2016. Güneş, G. & A. Göksel. M-word vs. ω-word: Top down prosody vs. bottom up syntax. The Word and the Morpheme. Humboldt Universität zu Berlin, 22-24 September 2016. Mutlu, F., A. Kapan, A.Y. Şen, H. Yıldırım & A. Göksel. ‘Head’ idioms in Turkish: contrasts and correlations. 46th Poznań Linguistics Meeting, Thematic Session: Embodiment in cross-linguistics studies; the body part term ‘head’. 15-17 September 2016. Gürer, A. & A. Göksel. Prosodic Constraints on Forward Gapping. 18th International Conference on Turkish Linguistics. Çukurova University, Adana, 22-24 February 2017. Taşçı, S. S. & A. Göksel. Grammatical encoding of semantic categories; Turkish Sign Language Native compounds. Poster submitted to TISLR 11, Melbourne, 4-7 January 2016. Kunduracı, A. & A. Göksel. Morphology, The Base Processor. 10th Mediterranean Morphology Meeting, University of Haifa, 7-10 Sept. 2015. Bağrıaçık, M., Göksel, A. & A. Ralli. Compounding in Pharasiot Greek: The Effects of Language Contact on Morphological Structure. Poster presentation, 48th Annual Meeting of SLE, Leiden, 2-5 Sept. 2015. Bağrıaçık, M., Göksel, A. & A. Ralli. Turkish Phrasal Suffixes in Pharasiot Greek. LAEL, Boğaziçi University, 28-30 July 2015. Taşçı, S. S. & A. Göksel. Headedness in Turkish Sign Language compounds. Poster presentation, Workshop on Phrasal Compounds, Mannheim, 26 June 2015. Bağrıaçık, M., Göksel, A. & A. Ralli. The Effects of Language Contact on Compound Structures: The Case of Pharasiot Greek. Workshop on Phrasal Compounds, Mannheim, 26 June 2015. Kelepir, M., Göksel, A. & E. Hakgüder. İşaret Dillerinde Karmaşık Tümceleri Belirlemek: TİD (Türk İşaret Dili) Üzerine bir Yöntem ve Betimleme Çalışması. Ulusal Dilbilim Kurultayı, Kocaeli Üniversitesi, 21-22 May 2015. Göksel, A. & G. Güneş. Expressing Discourse Structure & Information Structure within the WORD. Poster presentation, 9th Mediterranean Morphology Meeting, Dubrovnik, 15-18 Sept. 2013. Göksel, A. Phrasal compounds, quotatives, epithets and descriptions; What to make of shared structure? Workshop on Phrasal Compounds from a Theoretical and Typological Perspective. University of Mannheim, 21 June 2013. Göksel, A. & G. Güneş. Morphoprosodic delimitation of the focus domain in the word: In the footsteps of Sebüktekin (1984). Lingday: 45 years of Linguistics at Boğaziçi University, in Honour of Prof. Hikmet Sebüktekin. Boğaziçi University, 5 June 2013. Özsoy, A. S., Göksel, A. & M. Kelepir. Towards writing sign language grammars; Methods, questions, analyses. Lingday: 45 years of Linguistics at Boğaziçi University, in Honour of Prof. Hikmet Sebüktekin. Boğaziçi University, 5 June 2013 (scheduled but not delivered due to external circumstances). Göksel, A. Asymmetric signs: Simplex or complex lexemes? Workshop on Sign Languages. University of Haifa, 2 April 2013. Özsoy, A. S., Göksel, A., Kelepir, M. & D. Nuhbalaoğlu. Türk İşaret Dilinde Ad Öbeği Yapısı ve İşaret Dizimi. VII. Uluslararası Türk Dili Kurultayı 24-28 Eylül 2012. Özsoy, A. S., Arık, E., Göksel, A. & M. Kelepir. When established methods hit the sign: Methodological issues in documenting sign languages. International Symposium on Language and Communication; Research Trends and Challenges (ISCL), İzmir, May 2012. Göksel, A. & M. Kelepir. Issues in complexity: Sentential Complementation in Turkish Sign Language. Complex Sentences and Beyond in Sign and Spoken Languages, University of Göttingen, 13-14 October 2011. Göksel, A. & B. Kabak. Pronouns as indicators of modality shift: The perplexive construction in Turkish. Workshop on Covert Patterns of Modaity, SLE-44, Logrono, 8-11 September 2011. Göksel, A. & M. Kelepir. The syntax of nested spreading domains. Venice Feast: Formal Approaches to Sign Languages, University of Venice 20-22 June 2011. Öztürk, B., Demirok, Ö. & A. Göksel. Implications of case and agreement patterns in three Caucasian dialects spoken in Turkey: Pazar Laz, Ardesheni Laz and İnegöl (Acharian) Georgian. Workshop on the Languages of the Caucasus, University of Leipzig, 13-15 May 2011. Göksel, A. Constraints on word structure; Pronominal participles in Turkish and the Lexical Integrity Hypothesis. Department of Philology, University of Patras, 24 March 2011. Göksel, A. Compounding strategies in Turkish. Department of Philology, University of Patras, 23 March 2011. Göksel, A., Kabak, B. & A. Revithiadou. The prosodic basis of ‘syntactic’ doubling. The Old World Conference on Phonology 8, University of Hasan II, Marrakech 19-22 January 2011. Göksel, A. & M. Pöchtrager. The prosodic vocative and its kin. Vocative!, University of Bamberg. 10-11 December 2010. Göksel, A. (Invited speaker) Free word order and anchors of the clause. Third Mediterranean Syntax Meeting, University of Athens, 8-10 October 2010. Aslı Göksel (Joint work with B. Kabak, University of Konstanz and A. Revithiadou, Aristotle University of Thessaloniki). Interface issues in 'syntactic' doubling. LingDay at Boğaziçi University, 3 June 2010. Göksel, A., Kabak, B. & A. Revithiadou. Copying and iteration at the morphology-syntax interface. Paper presented at The 2009 Annual Meeting of the Linguistics Association of Great Britain (LAGB). Fiftieth Anniversary Golden Jubilee Meeting, University of Edinburgh, 6-9 September 2009. Göksel, A., Kabak, B. & A. Revithiadou. Forms of iteration at the morphology-syntax divide: Evidence from Greek and Turkish. Paper presented at Universals and Typology in Word-Formation. Šafárik University, Košice, 16-18 August 2009. Göksel, A. Morphological and syntactic constraints on word structure: Turkish pronominal participles and the Lexical Integrity Hypothesis, University of Konstanz, 8 July 2009. Göksel, A. The prosodic structure of questions: Turkish and Turkish Sign Language (TİD), University of Konstanz, 13 July 2009. Göksel, A., Kelepir, M. & A. Üntak-Tarhan. Interrogatives in Turkish Sign Language: The specific functions of head tilt, head shake and head nod. Paper presented at the Workshop on Nonmanuals in Sign Languages. Goethe University, Frankfurt am Main, 4-5 April 2009. Göksel, A., Kelepir, M. & A. Üntak-Tarhan. Decomposing the non-manual tier: Cross-modality generalisations. Paper presented at the 35th Annual meeting of the Berkeley Linguistic Society, Special Session on Non-Speech Modalities. UC Berkeley 14-16 February 2009. Göksel, A. Linkers on the edge: Turkish compound marking. CompNet Congress on Compounding, University of Bologna, 6-7 June 2008. Göksel, A. (Invited speaker). The effects of utterance level stress on bound morpheme sequences: implications for word structure. Paper presented at the 5th Workshop on Altaic Formal Linguistics. SOAS, University of London, 23-25 May 2008. Göksel, A. The word meets utterance intonation: The effects of order and prosody on the interpretation of bound morpheme sequences. Paper presented at the Ankara Linguistics Circle. Hacettepe University, 14 March 2008. Göksel, A. The interaction of prosody and morphology in interpreting morpheme sequences. Paper presented at the Workshop on Affix Ordering, 13th International Morphology Meeting, University of Vienna, 3-6 March 2008. Göksel, A., Kelepir, M. & A. Üntak-Tarhan. The role of intonation in clause typing across modalities: Question intonation in Turkish and Turkish Sign Language (TİD). Paper presented at the Workshop on Morphology/Phonology – Syntax Interface in Signed and Spoken Languages. Boğaziçi University, Istanbul, 25 May 2007. Göksel, A., Kelepir, M. & A. Üntak-Tarhan. Hani-clauses in Turkish: wh-intonation without wh-words. Paper presented at the 4th Workshop on Altaic Formal Linguistics, Harvard University, Boston, 17-19 May 2007. Göksel, A., Kelepir, M. & A. Üntak-Tarhan. Türkçe soru cümlelerinde ezgi [Question intonation in Turkish]. Talk presented at the Yuvarlak Masa Toplantısı: Türkçe’de Ezgi: Sözdizim ve Edimle İlişkisi [Round Table on Intonation and its Relation to Syntax and Pragmatics], XXI. Dilbilim Kurultayı [The 21st Conference on Linguistics], 10-11 May 2007. Göksel, A. & B. Haznedar. Türkçe tamlamaların yapısı: Bir veri tabanı çalışması [Turkish compounds: A database study]. Poster presented at XXI. Dilbilim Kurultayı [The 21st Conference on Linguistics], Mersin University. (Project workers: İskender, H.İ, S. Kan, T. Akan, K. Gökgöz, M. Bostancı, İ. Oded, F. İnce, D. Öksüz. ), 10-11 May 2007. Göksel, A., Kelepir, M. & A. Üntak-Tarhan. Morpho-syntactic features and the role of intonation in grammar: Turkish wh-questions. Talk presented at the Workshop on Phonological Domains; Universals and Deviations, 39th Annual Meeting of Deutsche Gesellschaft für Sprachwissenschaft (DGfS), Siegen, Germany, 28 February – 2 March 2007. Charette, M., Göksel, A. & S. Şener. Initial stress in morphologically complex words in Turkish: the interface of prosodic structure and ‘phrase’ structure. Talk presented at the Workshop on Phonological Domains; Universals and Deviations, 39th Annual Meeting of Deutsche Gesellschaft für Sprachwissenschaft (DGfS), Siegen, Germany, 28 February – 2 March 2007. Göksel, A. The role of Intonation in clause-typing: Wh-questions in Turkish. Talk presented at the Dynamic Syntax Reading Group, Kings College. London, 22 January 2007. Göksel, A. Gelişigüzelin Grameri. Talk presented at the Translation Studies Seminar, Boğaziçi Univeristy, 18 May 2006. Göksel, A. A syntactic template for Turkish. Talk presented at the the Workshop on Syntax and Morphology Multi-Dimensional, 38th Annual Meeting of Deutsche Gesellschaft für Sprachwissenschaft (DGfS), Bielefeld, Germany. 22-25 February 2006. Göksel, A. Morphology and syntax inside the word: Pronominal participles of headless relative clauses in Turkish. Talk presented at the 5th Mediterranean Morphology Meeting, Special topic: Lexical Integrity, Frejus, France, 15-18 September 2005. Göksel, A. Flatness and structure in the postverbal position in Turkish. Talk presented at the 38th Annual Meeting of the Societas Linguistica Europaea (SLE), Valencia, Spain, 7-10 September 2005.